Sandy is the founder of C2FO and serves as Chairman of the Board and CEO. In addition, he is Chairman of the Board of The Collectors Fund, a private equity fund focused on alternative asset classes. Prior to founding The Collectors Fund and C2FO, Sandy founded Perfect Commerce (fka eScout.com) and served as the company’s Chairman and Chief Executive Officer from 2000-06. Prior to founding Perfect Commerce, he served as Chairman of the Board and CEO of UMB Bank and CEO of UMB Financial, a NASDAQ traded financial services company more than $20 billion in assets. Sandy began his career with UMB after graduating from Northwestern University in 1987. He majored in American History. Sandy is an active angel and venture investor and serves on the corporate boards of UMB Financial (NASDAQ: UMBF), UMB Bank, NIC (NASDAQ: EGOV), AXA Art USA (NYSE: AXA) and BATS Exchange, one of the largest stock exchanges in the world. Sandy and his family are active in academic, civic and philanthropic endeavors. He serves on the board of the Agriculture Future of America (AFA), a non-profit scholarship and leadership development organization that he co-founded. Sandy and his family live on a farm in Kansas City, Mo., where they raise and care for their horses, sheep and any and all wild animals (not including their four children). Christine is a skilled marketing consultant with a unique set of experiences as a small business owner, a marketing communications specialist and a business development executive within an advertising agency. 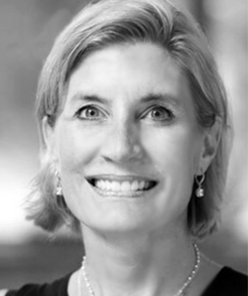 Since 2003, as President of Kemper & Company, Christine has used her expertise in qualitative and quantitative market research and consumer insight to help her clients grow their business and meet their goals. When necessary, Christine leverages her experience assembling and leading teams from her network of partners that can provide additional marketing strategy and planning, marketing communications, advertising and public relations solutions. 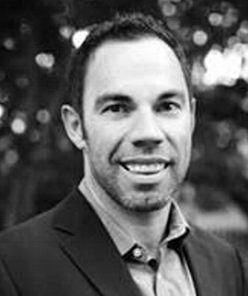 Jeremy joined C2FO in August of 2014 leading the Buyer and Marketing Analytics team. In 2016, he became the Account Director for C2FO’s Western Region buyers, where he works to maximize market performance as the point of contact for clients such as Amazon, Costco, HP and Intel. 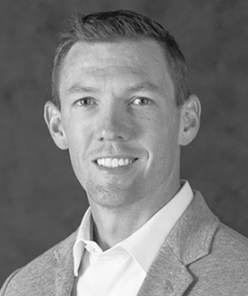 Jeremy has 15+ years of diverse experience in finance operations, marketing strategy and analytics. Prior to C2FO, Jeremy was part of the Sprint Velocity vehicle telematics group, a startup within Sprint, where he managed the consumer pricing and data analytics team working directly with Fiat-Chrysler. He held several finance, pricing and business analytics roles at Sprint. Prior to Sprint, Jeremy began his career working at Wells Fargo in the commercial operations group. Jeremy received his Bachelor of Science in Business Administration, majoring in Finance and Marketing from the University of Nebraska-Lincoln. He lives in Olathe with his wife and two children. Aditya is currently working as VP of Product at C2FO primarily responsible for all aspects of pricing, market mechanics and buyer integrations. Prior to joining C2FO, Aditya worked at Groupon, leading their consumer email experience and merchant marketing technology initiatives. He started his career at Amazon as a software engineer in their merchandising platform division. Aditya holds a B. Eng from Birla Institute of Technology, India and M.S in Computer Science from Georgia Institute of Technology. 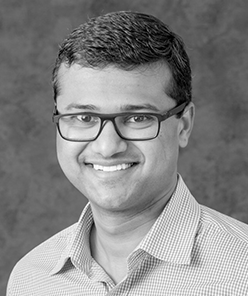 As a co-founder of YEPKC, Aditya's primary is focus is to nurture and grow the network by providing active mentorship to YEPKC scholars and seeking partnerships with schools and high growth organizations in and around KC area. Kyle joined C2FO in 2013 and currently serves as Director of Market Operations, with a focus on market efficiency and scalability. Prior to C2FO, Kyle spent seven years with Boston-based State Street Bank, where he led various client operations teams responsible for the pricing of international mutual funds. He has a B.S. in Finance from University of Central Missouri and an MBA from Avila University. Kyle lives in Peculiar, MO with his wife and three children. Jordan currently leads the front end engineering at C2FO. His team is responsible for the customer facing web application, mobile app, and an internal application for C2FO employees. He has a passion for reliable applications that scale and are intuitive to use. Prior to C2FO, Jordan worked on various platforms from social media and marketing analytics at eDataSource to GIS mapping applications for the Navy at Harris Corporation. 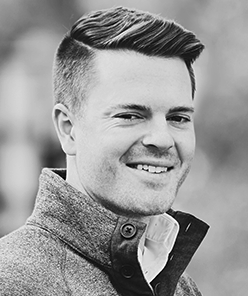 Originally from small town Nebraska, Jordan graduated from the University of Nebraska at Kearney and currently resides in the heart of Kansas City with his wife and dog. 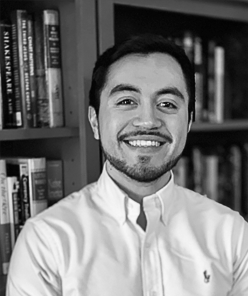 As Program Manager, Jesús is responsible for collaborating with Kansas City's top entrepreneurial minds and industry leaders to develop opportunities for high potential students and to open their minds to business creation. Jesús graduated from Loyola University Chicago with a Bachelor of Science in International Business. Before joining the YEPKC team, he worked with KC’s youth at Youth Ambassadors. He currently coordinates the youth choir at the Sacred Heart of Guadalupe Church. Jesús is an avid follower of CD Guadalajara and enjoys spending his free time reading, watching soccer, and playing guitar.